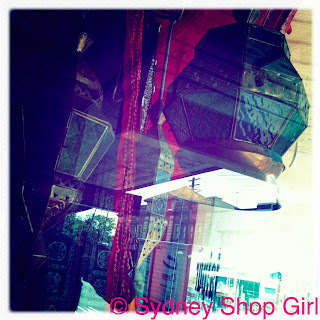 Sydney Shop Girl: Tell the Truth, Work Hard and Come Home to Dinner on Time. Tell the Truth, Work Hard and Come Home to Dinner on Time. Guess where I found those words of wisdom? 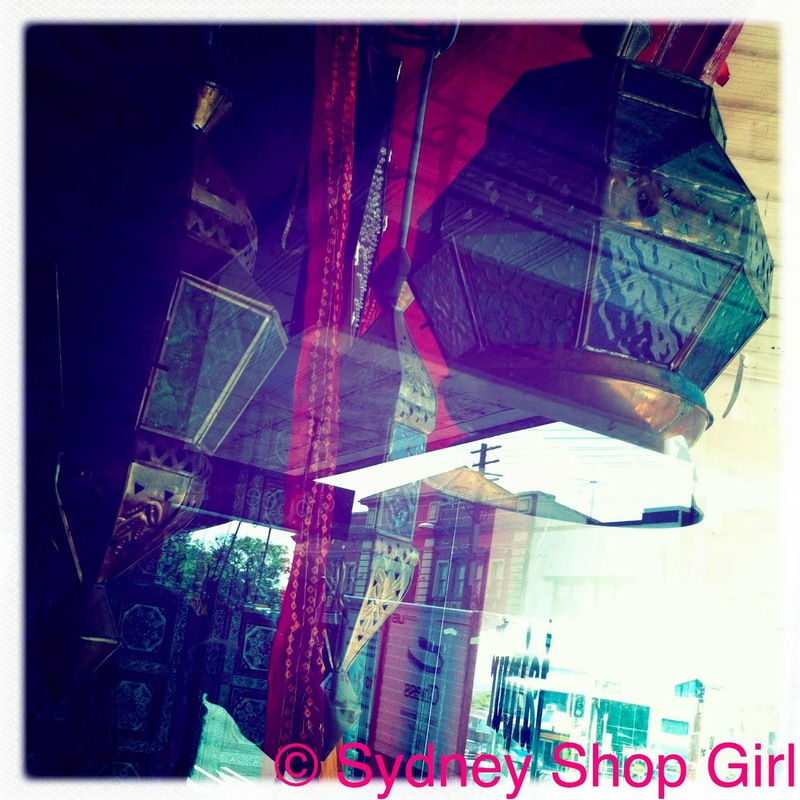 Out the front of Sportsgirl. 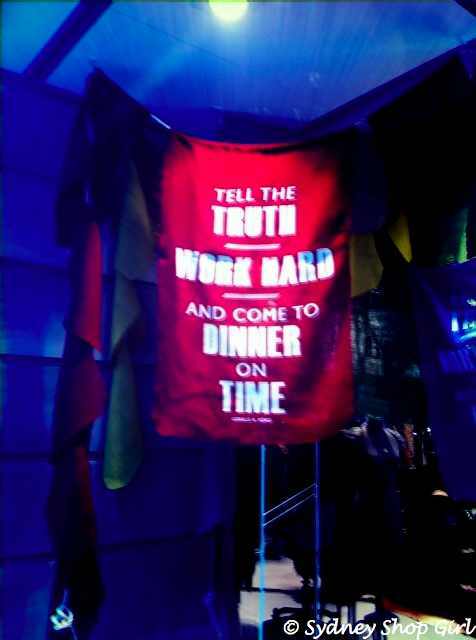 I'm not sure what getting home for dinner in time has to do with fashion. It's a sign of how far I've drifted away from Sportsgirl's target market, I guess. Still, there is great wisdom in those words. They would make a great tea towel design, in my humble opinion. I'd buy one of those over a pair of drop crotch, skinny leg cargo pants in khaki any day. Skinny leg, cargo pants yes but N-O to the drop crotch component. I've been to the hairdressers again today. I figured if I couldn't fix the state of my hair by experimenting with various household liquids then perhaps the experts could help. They did. It took a couple of hours of lathering and layering and blow drying but I now have hair that is somwhere between here. And here. Length and layer wise, I mean. Cheers for that, Jennifer. I think I may have to change my name to Rachel by deed poll. It is very liberating having shoulder length, layered hair though. It's going to wash like a dream and be a cinch to blow dry. An added bonus of today's trip to the hairdressers was that I got through the latest issues of all the Park St magazines, for free. It was a beautiful day in Sydney today. There was sun, warmth and a slight breeze. All the better for adding bounce to both ones step and hair. 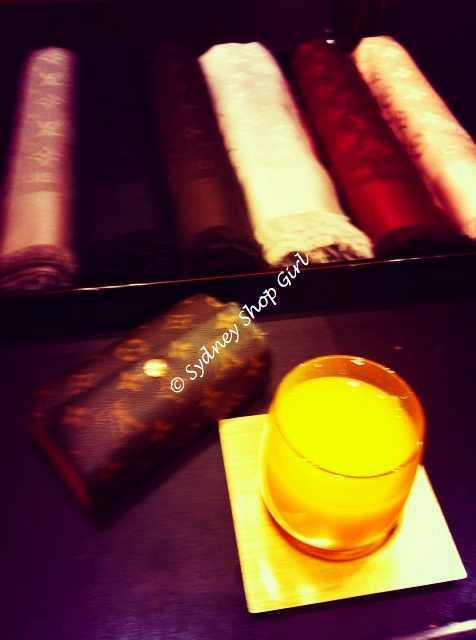 The people at Louis Vuitton were spreading the sunshine with glasses of orange juice. They didn't have Diet Coke though they did have champagne. As it was before noon, I didn't pursue the matter. Late last night, I was blogging about how I was feeling India (in Park St speak) as an inspiration for dinner tonight. I took these photos at the front windows of one of the Indian restaurants we call our 'local'. They do a mean butter chicken. With these colourful images of India on my mind, I went to yoga and tried hard not to think about dinner during the quieter poses. As you may recall, I make no secret of my love of the Indian ready meal area of Coles. 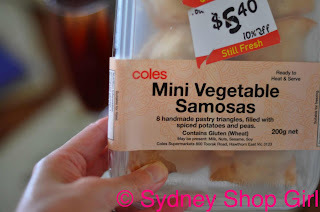 Especially when there's a packet of discounted vegetable samosas on offer. It was a cheat's Indian dinner at SSG Manor tonight. 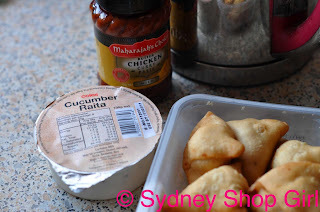 I got the butter chicken paste from an Indian grocer in Ashfield. 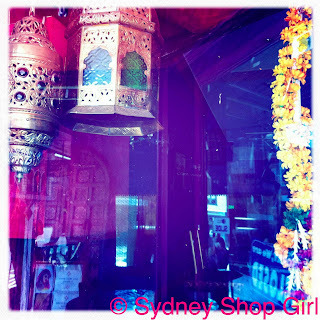 I figure if the store owner personally picked out the Maharajah's Choice brand for me, that had to count for something. 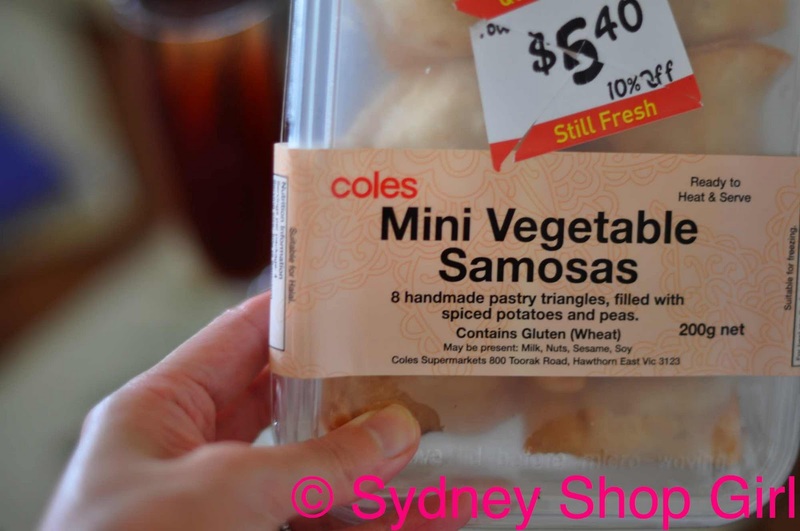 The Coles samosas are very good. 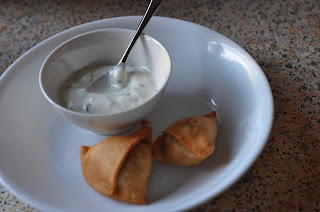 Not too spicy and with a generous pea based filling. The cucumber raita has great flavour and is so much more convenient than trying to make your own. Be still my twitchy arteries. 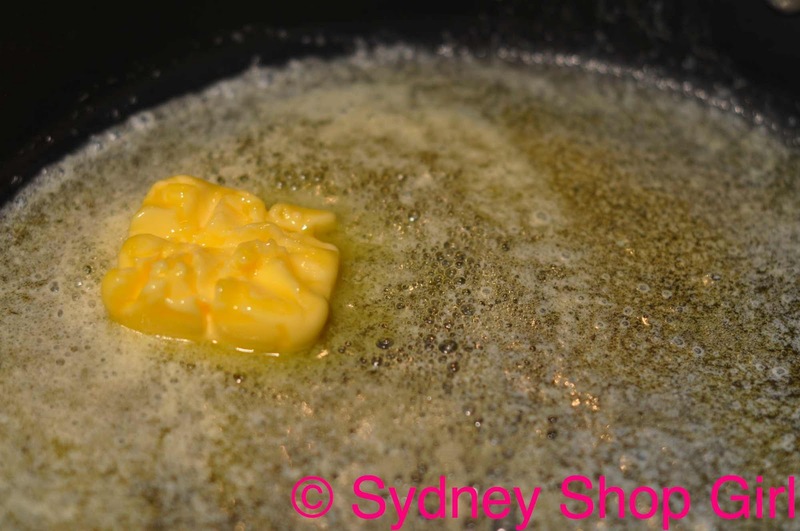 Look at that butter simmer! The use of oil to prevent browning of the butter really does work. More Coles merchandise. I was keen to try their garlic naans. I borrowed a Jamie Oliver trick to reheat them. 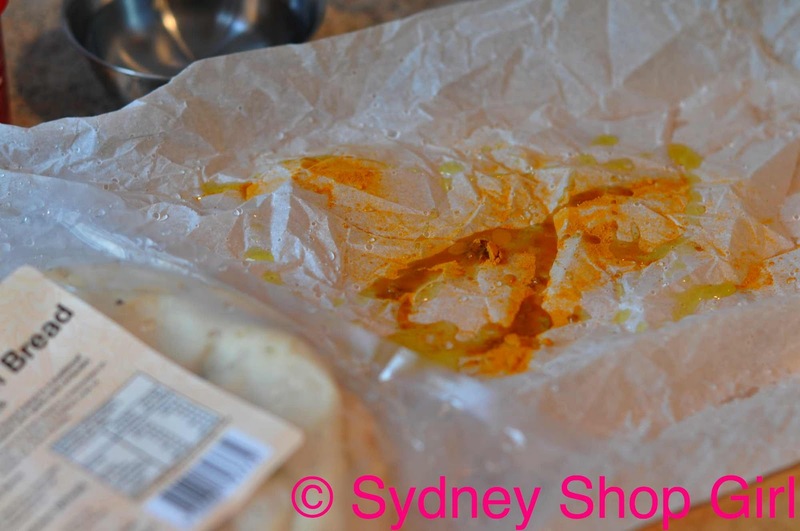 All you do is wet a large piece of scrunched up baking paper before flattening it and coating it with some oil and turmeric. Place your naans on top and then add some more oil and turmeric over the pile. Wrap up the parcel and heat in the oven for 10 minutes. This method really does preserve some moisture in the naans and also adds some crunch and flavour. Supermarket taste and texture gone in 10 minutes! Well, I'm going off to lounge for a bit. Have a great evening, everyone. That looks delicious... BUT... I WANT TO SEE YOUR HAIR DO!!!!! ALSO: Did you purchase a little sumpin' sumpin' at LV?! It sounds like you've had a beautiful Saturday. Here's to a beautiful Sunday too!!! yummy! Yes where's the pic? Yes we want to see the new look! 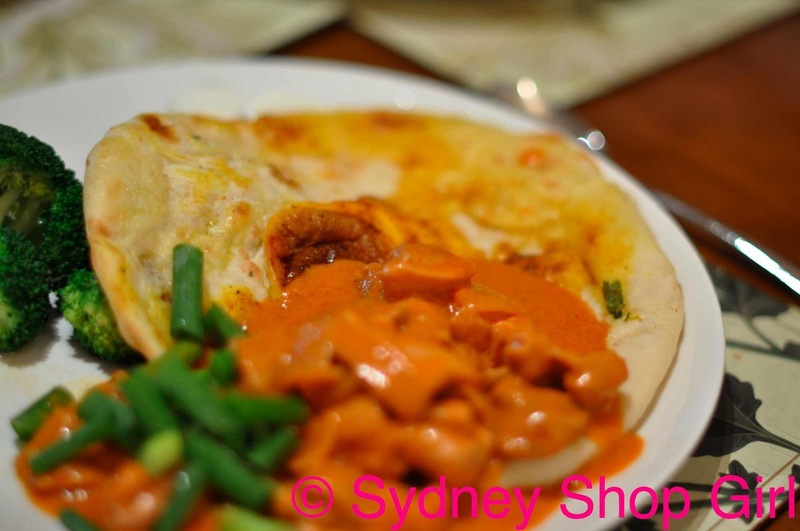 Love the home based indian food! We don't eat it - some of the spices in Indian disagree awfully with Mr K's digestive system, but I adore butter chicken and Rogan Josh! Can't wait to see what LV has in store for you! ozrob: thank you for stopping by. There will be a Big Reveal post soon. Posie: Sportsgirl for dress ups. I love it. Very true, though.